An Arizona lawmaker remains determined to put the state’s medical marijuana law back in front of voters despite an attempt by dispensary owners, MMJ advocates and patients to get him to reconsider. 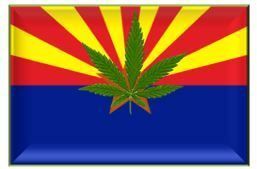 Rep. John Kavanagh (R-Fountain Hills) told Capitol Media Services that his position on the issue has not changed after cannabis supporters held a press conference urging him to back off his proposal to repeal the Arizona Medical Marijuana Act and pressed the state to crack down on unregulated cannabis clubs. Kavanagh recently submitted a bill that would place the voter-approved act back on the ballot next year, saying he thinks residents should vote on it again. His commitment to pursuing a repeal puts a damper on the state’s medical marijuana industry, which is just now hitting its stride as the first dispensaries open up after two years of challenges. Medical cannabis centers and related businesses must now deal with a huge unknown on the horizon, making it hard to plan for the future and grow their operations. In justifying his position, Kavanagh cited research from medical organizations claiming that marijuana harms – not helps – people. He also pointed to a court ruling this week rejecting a bid to reclassify marijuana at the federal level; a recent study claiming that some medical marijuana is winding up in the hands of teens; data that shows most patients in the state qualify for MMJ cards based on chronic pain, which he said is “easy to fake”; and his overall opinion that the majority of locals are now opposed to medical cannabis. It’s an exhaustive list. But medical cannabis advocates have been able to poke many holes in these arguments. The recent study about teens getting marijuana from current cardholders, for example, also found that overall cannabis use among youth is down since the state adopted MMJ laws (not to mention the fact the teens get their hands on plenty of other substances – such as alcohol – from adults). More importantly, the state has already lost numerous legal battles challenging the law. Kavanagh’s attempt to repeal the legislation appears to be a desperate, last-ditch effort by officials who refuse to accept a voter-approved initiative. The move could backfire if voters – especially those in the middle ground on the MMJ issue – view it as such. In that case, residents could vote in favor of the medical marijuana act on principle alone (lawmakers should respect, not challenge, the will of the voters) and vote against officials who back the repeal. The industry is hoping it won’t get to that point. Kavanagh still must convince enough of his fellow lawmakers to put the bill back on the ballot. So these politicians are not aware of the tons of illegal marijuana coming across the border and herds of illegals selling Mexican pot as well as hard drugs to Arizona teens and anyone else that will buy it? The legal Medical Marijuana is an attempt to stop a bunch of that and it protects the teens. No competent adult wants teens smoking marijuana. This politician needs to stop fighting and go after something worthwhile. Wasting money and police resources on kids smoking pot is akin to Nero fiddling while Rome burned! They are wasting taxpayer money. Politicians in AZ are KNOWN for wasting money. They’ve got it down to an ART FORM! They’ll defend State Rights all the way to the SCOTUS! Unless it deals with an issue THEY don’t like! Damn the people… As a Conservative Republican, I can tell you that SEVERAL of my cohorts who did NOT back Medical Marijuana the last time, said they WILL this time, just to show these “Out of Touch politicians, that WE THE PEOPLE run this show. There’ll be A LOT of politicians in this next election that are going to get a RUDE awakening when the Marijuana Majority actually votes their asses out of office. Arizona votes should be allowed to reconsider their approval of medical marijuana because new information shows that the program has turned into something far different from what its proponents promised. In addition, the voters were misinformed about its efficacy and safety. The proponents said that medical marijuana would be used by a wide variety of patients and emphasized those with cancer, Crohn’s syndrome, sclerosis, Alzheimer’s disease, AIDS and other terrible illnesses that engendered great sympathy from voters. But 90% of those issued medical marijuana cards to date are patients alleging chronic pain, a diagnosis easy to fake. Cancer patients comprise less than 2% of the cardholders and only 1% had the other illnesses specified above. Evidence shows that the claim by opponents of the medical marijuana initiative that it was “a dishonest attempt to nudge the state toward legalization of marijuana” was true. The fact that 73% of the patients are male and over 50% are under forty years old, in spite of the fact that pain shows no gender bias and its prevalence increases with age, suggests rampant fraud within the program. The fact that only 14 doctors authorized over half the medical marijuana cards issued also suggests problems. Even more shocking was the discovery that medical marijuana card holders are major suppliers of illegal marijuana to children. In a survey of elementary and high school students, the Arizona Criminal Justice Commission discovered that 11% of those who use illegal marijuana got it from medical marijuana card holders. A Universiy of Colorado Medical School study pegged Colorado’s number at 75% for children surveyed in two treatment programs! Another reason for voters to reconsider their approval of medical marijuana is because its proponents, who outspent opponents 30-to-1, misled the voters into believing that medical marijuana works and has support in the mainstream medical community. That myth was again busted last week, when judges on the federal Court of Appeals denied a petition by medical marijuana supporters to remove medical marijuana from the class of drugs deemed “dangerous with no known medical use.” The court held that marijuana had failed to meet all five standards the Drug Eenforcement Administration sets for drugs to qualify as having a valid medical use. Based upon this new information and the fact that the voters barely passed the medical marijuana initiative (50.1% to 49.9%,) I believe that they should be allowed to reconsider their approval. No law should be written in stone, especially a bad one. Rep. Kavanaugh, your statistics and figures are flat out WRONG! We’ve voted on it THREE TIMES NOW! What part of we WANT an MMJ program is it that you’re NOT getting. You’re just trying to bring SOME credibility back to your name after backing SB1070 the way you did. Be HONEST sir! The AMA sir has come out in FAVOR of Marijuana as a medicine. It’s CAVEMEN like yourself who want to drag us all by our hair to YOUR view. As far as what the VOTE was, is IRRELEVANT! The FACT is that we’ve VOTED it IN three times now and you will see a MUCH LARGER % this time, because you’re trying to THWART the will of the voters! Please don’t be misinformed, WE WILL vote for it AGAIN just BECAUSE you’re trying to thwart the will of the PEOPLE! Chronic Pain was a category introduced by AZ’s own Will Humble. It was meant to encase people who have Kidney Failure or are on dialysis. People who have had MULTIPLE back surgeries. People who’ve been in Car accidents and have Whiplash. etc… Chronic Pain’s a category to keep from having 50 different categories. Mr. Kavanaugh, nobody DECEIVED the public. Only YOU politicians are DECEIVING us because you’re trying to claim problems with a PROGRAM that YOU, YOURSELF have caused by NOT implementing the program the way it was VOTED on! So don’t bring your high and mighty self in here and try to CONVINCE people of what you’re doing. We’re NOT idiots, and trust me… WE SEE where the problems are. As a Conservative Republican, I will not only financially support YOUR opponent, but will even WORK against you in your NEXT election. One person dies every nineteen minutes from an overdose of prescription drugs. More people die of prescription drug overdoses than die of car accidents in Arizona. In the entire history of marijuana’s association with man no one has ever died of an overdose of marijuana. The evidence is overwhelming that marijuana can relieve certain types of pain, nausea, vomiting and other symptoms caused by illnesses like multiple sclerosis, cancer and AIDS — or by the harsh drugs sometimes used to treat them. And it can do so with remarkable safety. Indeed, marijuana is less toxic than many of the drugs that physicians prescribe every day. —Former U.S. Surgeon General Joycelyn Elders,M.D. “I mistakenly believed the Drug Enforcement Agency listed marijuana as a schedule 1 substance because of sound scientific proof. Surely, they must have quality reasoning as to why marijuana is in the category of the most dangerous drugs that have ‘no accepted medicinal use and a high potential for abuse.’ They didn’t have the science to support that claim, and I now know that when it comes to marijuana neither of those things are true. It doesn’t have a high potential for abuse, and there are very legitimate medical applications. In fact, sometimes marijuana is the only thing that works.” Dr Sanjay Gupta, M.D., assistant professor of neurosurgery at Emory University School of Medicine and associate chief of the neurosurgery service at Grady Memorial Hospital in Atlanta, Georgia. Dr Gupta was offered the Surgeon General position by the Obama administration in 2009 but withdrew his name from consideration.